Fast and easy to use the 2 roll plate bending machine is the best solution to roll thin plates out of very small diameters. The Roccia HR2W is composed by a solid electro welded frame accurately machined on CNC boring machines to achieve the precision and stiffness that is typical of Roccia machines. This is a very important factor for a machine that grants a precision of 0.1 mm on rolling diameters. 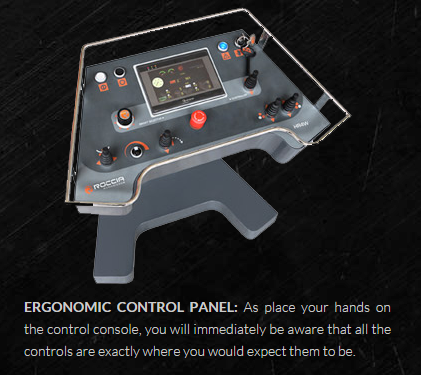 The typical thickness for these machines goes from 0.2 up to 3mm, in some special cases even up to 4mm and for plates of a width from 50mm up to 2000mm. The urethane lower roll works like a matrix and the top roll like a die as to imprint the shell radius. To change the radius is as easy as to install a mandrel or former roll onto the top roll. This is absolutely the quickest machine that the market can offer as it reaches productions of over 250 parts per hour. 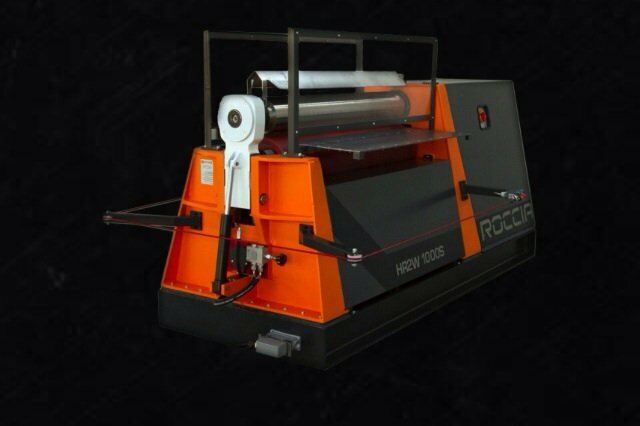 Roccia HR2W is typically supplied with a wide range of accessories like vacuum conveyor part ejector and welding system and it can be fully automated.